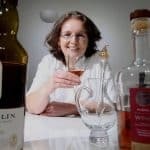 Following on from the Whisky and Women piece which recently appeared on Malt, I was emailed by Story PR, working on behalf of Diageo, with the press release for Jane Walker and an invitation to ask any questions. So I did. I only had four questions (I’m no Dimbleby) and they were fairly straightforward. In addition, I also let the PR company know in advance that their responses might be used in a follow-up piece. So there’s no issue with posting them here. I’m not going to paraphrase; these were their responses – a simple cut and paste job – which can be attributed to a Johnnie Walker spokesperson. Q: According to your press release, “Elizabeth Walker, the wife of founder John Walker, was also fundamental to the creation of their own blended whisky”. So why wasn’t the whisky named after her? A: We want to tell the stories of the women in this industry and celebrate them and those enjoying our whiskies every day around the world – Jane Walker gives us another opportunity to do so. The campaign is about giving Jane Walker her own recognizable identity vs commemorating and celebrating a particular individual from our brand history. Q: Who is Jane Walker? Does/did she even exist as someone fundamental to the whisky industry? A: Jane Walker is the first-ever female interpretation of our brand’s iconic logo – she is a fictional creation who enables us to tell the stories of the women in this industry and celebrate them and those enjoying our whiskies every day around the world. Q: Why does the name Jane Walker appear as some kind of subtext on the label? A: Jane Walker appears as the special edition name on our label. We wanted to be clear that this special edition pack contains exactly the same Johnnie Walker Black Label that people across the world already enjoy. Q: If Diageo sells all of the 250,000 bottles, it will donate $250,000 to women’s causes. What does it plan to do with the other $8,250,000 generated from those sales? A: Johnnie Walker has committed $1 for every bottle produced of the Jane Walker Edition up to $250,000 to support various organisations which champion women’s causes. In addition to this work, Diageo is proud to contribute to very many worthwhile organisations across the globe, including those which support female empowerment. For background, you can find out more here. Justine: This reminds me a little bit of when I used to conduct French-speaking assessments with students. Some of them had worked so hard to learn their responses off by heart that the question almost became irrelevant. They were so determined to say what they had learned that it didn’t really matter whether they understood the question or not, or, indeed, whether they even answered it. These are indeed responses, comments, words but certainly not answers. I, for one, don’t feel that I’m any the wiser for reading their reply. Which is a shame as I was hoping that someone would have taken this opportunity to try to change my mind about Jane Walker. However, I stand by my original opinion and maintain that this is still pish. Diageo is a business and, of course, the main aim of a business is to make money. Diageo is no exception. In addition, a corporation doesn’t have any legal obligations to donate any money at all to good causes. Once again, Diageo is no exception; yet it chooses to do so. Only the most cynical of old boots (and, contrary to popular belief, I’m not quite at that level yet) would see this as anything less than commendable. So, I don’t have an issue with either of those concepts. My main issue is that releasing a special edition whisky which is a female interpretation of our brand’s iconic logo is clumsy, undermining, and, as a result, just a tad insulting. Why? Firstly, because of the original motive behind it. According to Stephanie Jacoby, “Scotch as a category is seen as particularly intimidating by women, and it’s a really exciting opportunity to invite women into the brand. ” Why does this annoy me? Well, it’s a bit like saying that dark alleys are intimidating. Let’s face it: dark alleys, in themselves, are just fine. It’s the thought of who or what might be lurking in them which is intimidating. Renaming the alley wouldn’t address the real issue. 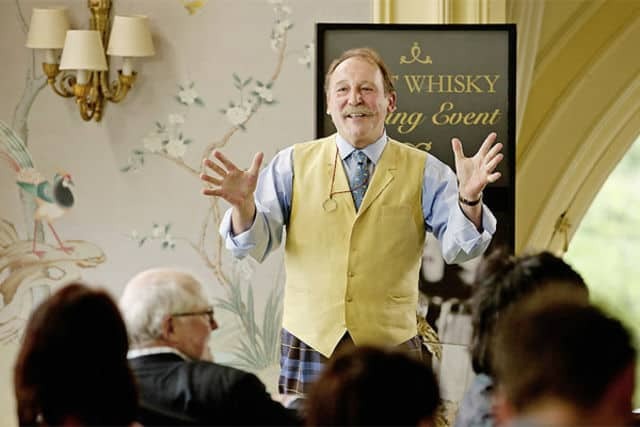 For me, language is everything and had Ms Jacoby stated that Scotch as an industry has been particularly intimidating to women, I may have had a greater appreciation of the intention. Secondly, because Jane Walker isn’t real. According to Ms Jacoby, “the inspiration came from this idea of the role of female icons in culture.” So, why not use them? Honestly, if we’re talking about female icons in culture, I think I would’ve been happier had Diageo released a series of five special editions with the Spice Girls on rather than this. Or take a leaf out of Adelphi’s PR book for their recent Winter Queen release. A fictional character just seems to undermine that original inspiration.